William "Smokey" Robinson, Jr. is an American singer-songwriter, record producer, former record executive and co-founder of Motown Records. Robinson was the lead singer of the Motown vocal group the Miracles. His uncle Claude gave him the nickname "Smokey Joe" when he was a child and he later became known as simply, Smokey. Robinson said his interest in music started hearing a huge diversity of music in his home as a young child. Robinson began performing and songwriting during elementary school. As a teen, Robinson formed the first lineup of the Five Chimes with childhood friend Ronald White and classmate Pete Moore. Later the group name was changed to The Matadors and included Bobby Rogers and his cousin Claudette Rogers. The Matadors began touring Detroit venues around this time and later changed their name to the Miracles. Robinson and the Miracles met songwriter Berry Gordy after a failed audition for singer Jackie Wilson’s managers. At that time during the audition, Robinson had brought along with him a notebook with 100 songs he had written. Gordy was impressed with Robinson's vocals and even more impressed with Robinson's ambitious songwriting. With his help, the Miracles released their first single, "Got a Job", an answer song to “Get A Job,” which was a hit at the time. 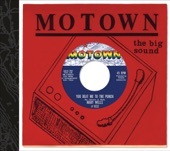 It was the beginning of a life long and successful collaboration and the beginnings of Motown. The Miracles recorded their first hit single, "Shop Around", which became Motown's first million-selling hit record. Between 1960 and 1970, Robinson would produce 26 top forty hits with the Miracles as lead singer, chief songwriter and producer, including several top ten hits such as "You've Really Got a Hold on Me", "Mickey's Monkey", "I Second That Emotion", "Baby Baby Don't Cry" and the group's only number-one hit during their Robinson years, "The Tears of a Clown". 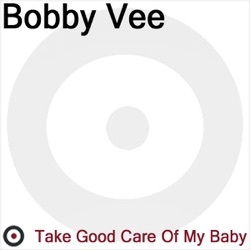 Other notable hits such as "Ooo Baby Baby", "Going to a Go-Go", "The Tracks of My Tears", "(Come Round Here) I'm The One You Need", "The Love I Saw in You Was Just a Mirage" and "More Love" peaked in the top twenty. Robinson was also one of the major songwriters and producers for Motown, penning several hit singles such as "Two Lovers", "The One Who Really Loves You", "You Beat Me to the Punch" and "My Guy" for Mary Wells; "The Way You Do The Things You Do", "My Girl", "Since I Lost My Baby" and "Get Ready" for the Temptations; "When I'm Gone" and "Operator" for Brenda Holloway; "Don't Mess With Bill", "The Hunter Gets Captured by the Game" and "My Baby Must Be a Magician" for the Marvelettes; and "I'll Be Doggone" and "Ain't That Peculiar" for Marvin Gaye. After much success, Robinson wanted to retire from touring to focus on raising his two children and on his duties as Motown's vice president. However, the success of the group's "Tears of a Clown" made Robinson stay with the group. 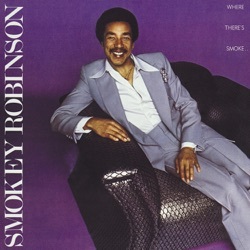 After a year of retirement, Robinson announced his comeback with the release of the eponymous Smokey album. The hit ballad "Baby Come Close.” Robinson’s hit follow up A Quiet Storm, released launched three singles – the number-one R&B hit "Baby That's Backatcha", "The Agony & The Ecstasy" and "Quiet Storm". Following these albums, Robinson later wrote the lyrics that became his first top ten Pop single, "Cruisin'". The song peaked at number four on the Billboard® Hot 100. It also became his first solo number one in New Zealand. Robinson topped the charts again with another sensual ballad, "Being with You", which peaked at number two on the Billboard® Hot 100. It also hit number one in the United Kingdom, becoming his most successful single to date. Later Robinson teamed up with fellow Motown label mate Rick James recording the R&B ballad, "Ebony Eyes". Robinson made a triumphant return with the album, One Heartbeat and the singles, "Just to See Her" and "One Heartbeat", which were Top 10 hits on Billboard®'s Pop, Soul, and Adult Contemporary charts. They were aided by hugely popular music videos. "Just to See Her" won Robinson his first Grammy® Award. The album became one of his most successful ever, selling platinum in the United States alone. In the same year Robinson released One Heartbeat, he was inducted as a solo artist to the Rock and Roll Hall of Fame. That same year, UK group ABC released a tribute song, "When Smokey Sings." In recent years, Robinson released the standards album, Timeless Love, Time Flies When You're Having Fun and Now And Then. Smokey & Friends, his most recent work was an album of duets, including collaborations with Elton John, Mary J. Blige, John Legend and James Taylor, to name a few. It reached number 12 on the Billboard® album chart. Robinson has been Inducted into the Kennedy Center, awarded an individual star on the Hollywood Walk of Fame and a second star with The Miracles. He was awarded a medal at the National Medal of Arts, A Heritage Award at the Soul Train Music Awards and most recently a BET Lifetime Achievement Award. Howard University conferred on Robinson the degree of Doctor of Music as did the Berklee College of Music. He was also awarded Society of Singers Lifetime Achievement Award.